Married for 69 Years! | The Happy Wonderer ~ ellen b. 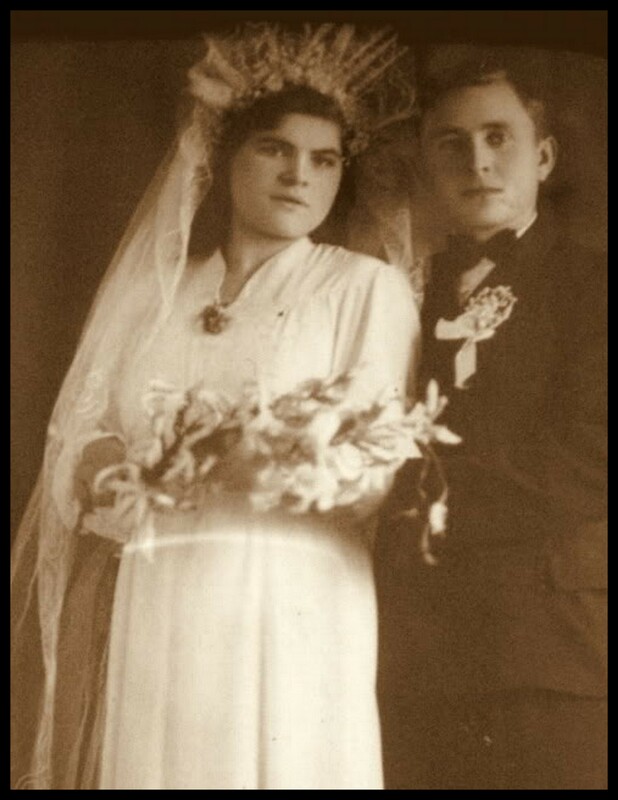 Their wedding was in Iran (Persia) in 1943. Here’s what they’ve got to show for all their years together and what they cherish along with the love they have for God and each other. Add 15 more to this number for the more accurate count of their legacy which continues to grow. So raise your glasses and toast to my mom and pop for all these years that God has been faithful to them! Second through fifth photos were all taken by Jeremy Leffel our photographer and good friend at Andrew and Katie’s wedding. 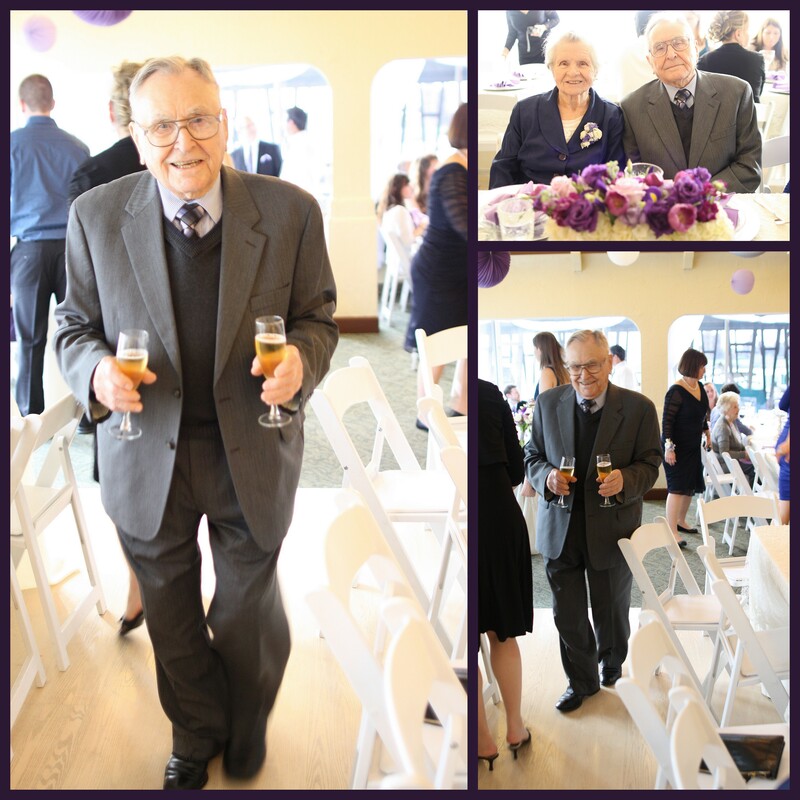 Posted on September 13, 2012 by Ellen •	This entry was posted in Anniversary and tagged 69th Wedding Anniversary, Family, Jeremy Leffel Photography, Katie and Andrew's Wedding. Bookmark the permalink. ← Adios Pears and Summer! That is an amazing story!!!!!!! I hope one day to say the same!!! Happy Anniversary to your mom and pop, Ellen! Raising my coffee mug to them! They are so blessed, and all their offspring are blessed to have them as the head of the family. May God give them even more years together! 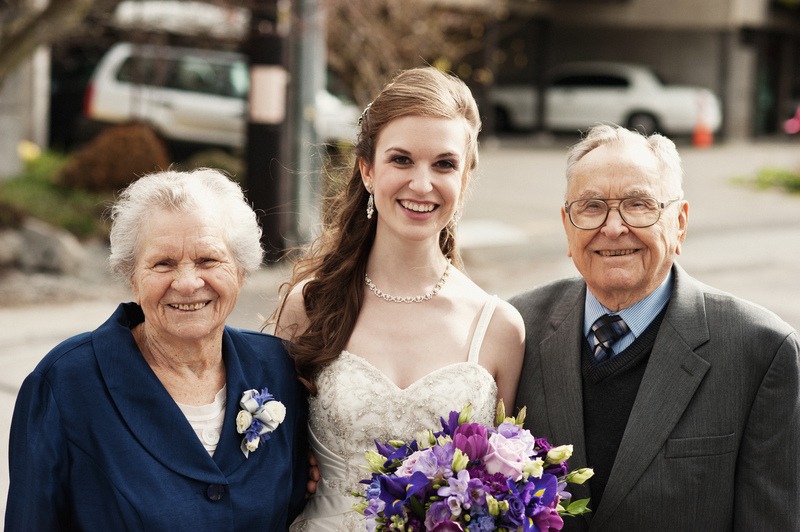 What a beautiful legacy – their wedding picture is so great!!!! I am raising my coffee to them this morning Ellen. Have a great day! Sixty-nine years! Wonderful!!! Congratulations to them with their big, beautiful, genuine smiles! Your Dad looks like he’s a real pistol! I love the headdress on your Mom’s wedding veil. Very regal!!! Great pictures, Ellen! With joy! So cute!! What a gorgeous couple they make. I wish them many more happy years and what a legacy your family enjoys. Congratulations and best wishes to your parents on 69 years! Many more happy years to them. Wow. Amazing! 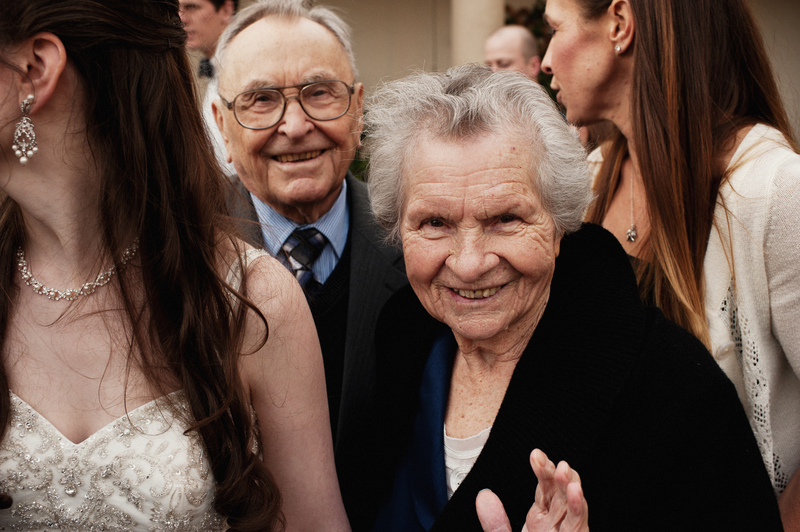 Blessings to your cute mom and dad on their 69th anniversary. WOW! 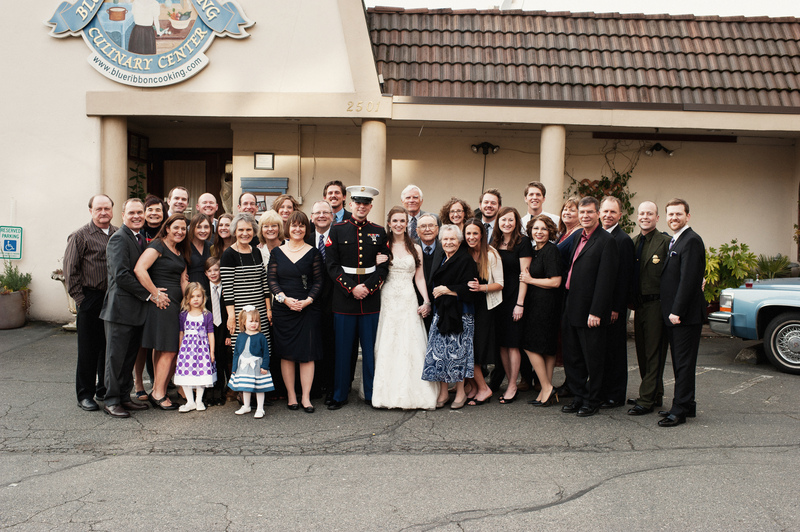 Happy Anniversary – what a beautiful family your parents have. Do you have a big celebration planned? Now that’s worth celebrating! It’s such a blessing and encouragement to see long lasting commitment modeled. My parents only made it to 60 when my mom died but my grandparents celebrated 71 years before passing to their reward. Wishing your mom and dad good health and much joy! May God bless your Mom and Pop and give them yet a few more years together! I love it when you post about them, Ellen! So very blessed, both of them and all their offspring, for generations! What a blessing to have reached that milestone and to have such a beautiful and loving family to share it with! Congratulations and God’s richest blessings to them! A happy and blessed anniversary to your parent’s Ellen! i could see the resemblance in your mom and katie–wonderful photos! I like the pic of your mom and dad on the sofa. She looks as though she is just taking in all of the goodness of her lifetime. Two people in love…..and all the blessings that follow. Lovely post. So wonderful that they are still together and are such witnesses to what love truly is! Blessings to them….. Happy Anniversary to your mom and dad! What a blessing to have had 69 years and still more to come, with the Lord by their side! I toast to your happy parents. What a rich heritage of love they have given to your family. I love these photos of them…simply demonstrates their love for people. Congratulations to your parents! 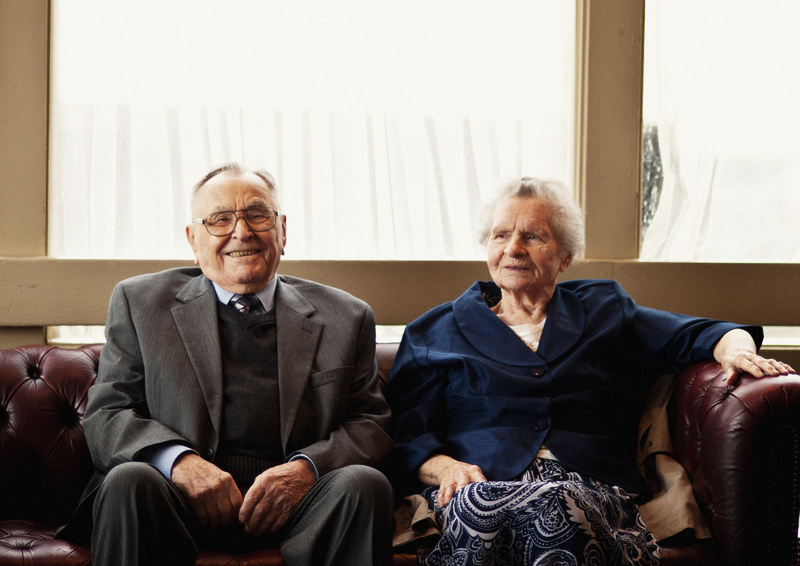 Wow, 69 years of marriage, what a rarity. They should be in the newspapers and on TV!